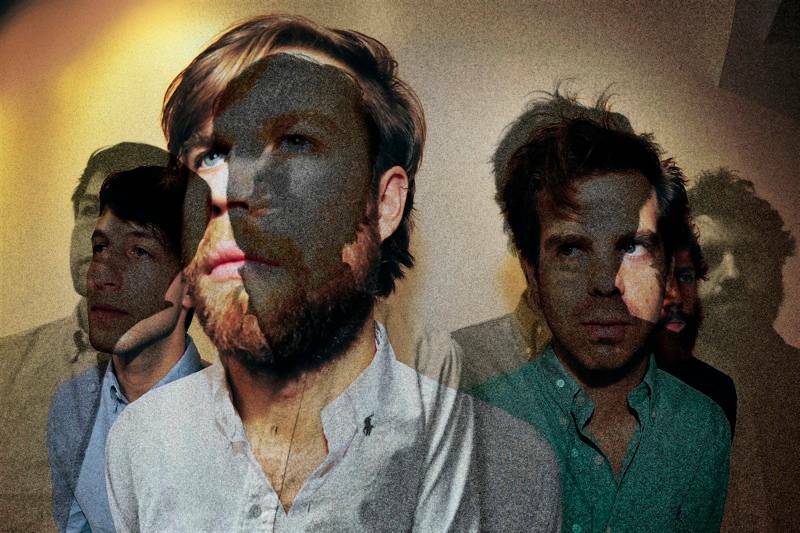 The Darcys open for Bombay Bicycle Club at the Commodore Ballroom Feb 20. The Darcys recently released their take on the 1977 Steely Dan album Aja. The Toronto-based group, with roots in Etobicoke and Halifax, consists of four members, guitarist/vocalist Jason Couse, drummer Wes Marskell, guitarist Mike le Riche, and bassist Dave Hurlow (all born before the release of Aja). We reached Marskell just as the band was driving into Portland for the fourth show of its current tour opening for U.K. band Bombay Bicycle Club. The Darcys play the Commodore Ballroom in Vancouver Feb 20 2012. Shawn Conner: What’s the deal with Bombay Bicycle Club? I hate their name. Wes Marskell: They’re from the U.K. I want to call it Britpop, it’s very poppy British kids making fun music. It’s really won me over the few shows we’ve played with them. WM: We’re not fun. I don’t know why they have us on the tour. Their audience has been really receptive to our show though. They do have their moments where they dig in a little. It makes more sense than playing with [previous tour-mates] Arkells I think. SC: How much of the set is Aja? WM: We’re only playing 30-minute sets, five or six songs depending on the night. Two of them are Aja songs: “Peg” and “Home At Last”. We have “Josie” and “Deacon Blues” up and running but we don’t have time to drop in nine-minute songs. SC: Right. If you only had one Steely Dan song that wouldn’t let people know you’re into this as much as you are, it would just seem like a random cover. WM: Yeah. So we have our little Steely Dan two-song set in the middle of our self-titled set. 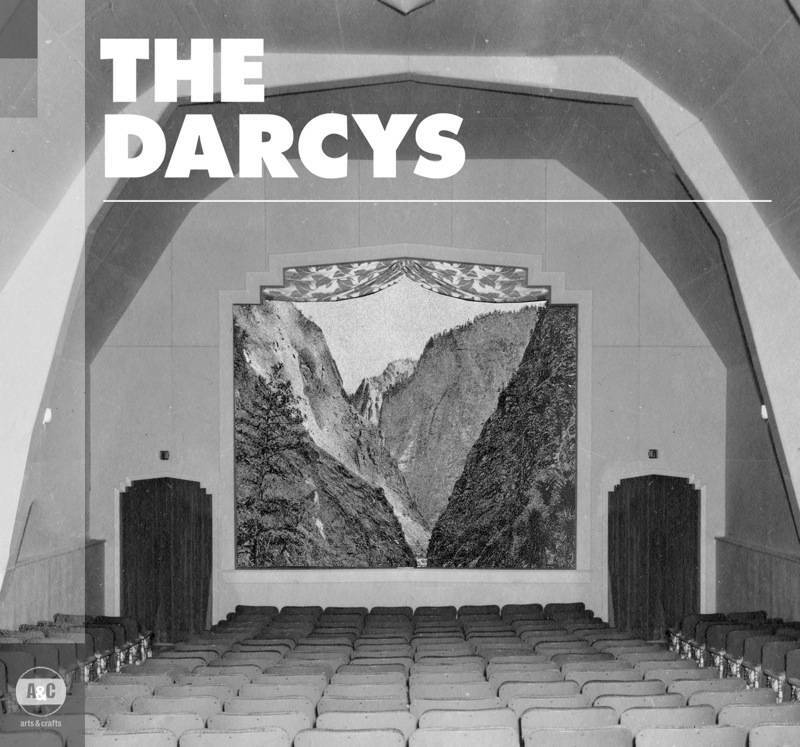 The Darcys’ self-titled 2011 album (on Arts & Crafts). SC: Were you doing this during the Arkells tour as well? WM: Yeah. We’ve been playing “Home At Last” since before Aja [Interpreted by The Darcys] came out. I think people – if they figured out what the cover was – just took it as a one-off. When we started touring with Arkells we put the two songs in. We’re trying to work two more in but there’s a lot of gear involved. We’d look like dicks if we showed up with ten pianos on either side of the stage. SC: I imagine the audiences you’re playing to are young. No one knows Steely Dan anymore; in Vancouver at least, all classic rock radio is AC/DC and the same two Neil Young songs, “Ohio” and “Southern Man”. It’s nice for us because it almost becomes our own song. They don’t feel so much as covers as something we’ve done with the songs to make them our own. So it’s nice to have people hearing it as though it’s an original record. I read that during the Grammys it was trending #whoispaulmccartney? So if people don’t know who Paul McCartney is, it’s not too much of a stretch that they don’t know who Steely Dan is. At the same time, there was sort of a yacht-rock resurgence a few years ago. So some of the older kids definitely know who Steely Dan is. SC: That really offended me when I read that in a National Post piece on you guys – the writer called the band “yacht-rock”. WM: I agree, I don’t really enjoy the term. I know what you mean, it sounds really derogatory. SC: What I always found interesting about them is that they started out as two New York kids who were professional pop songwriters who moved to Los Angeles and started experimenting with jazz. They’re a complete anomaly. I’m sorry I called them yacht-rock, I feel bad now! SC: [laughs] So why Aja, why not another Steely Dan album? And what did you learn by doing the record? WE: We didn’t have a meeting where we all brought five records to the table. 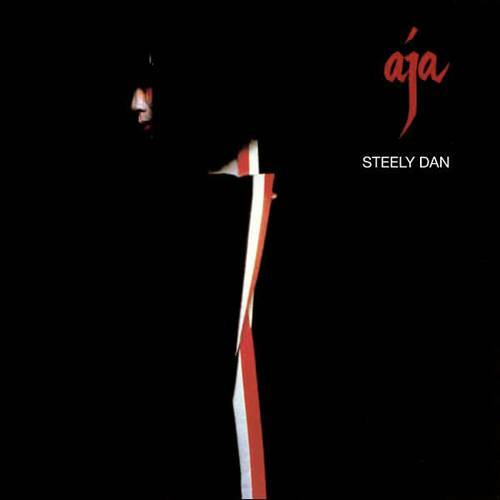 It was always going to be Aja, we weren’t deciding between Steely Dan records or records in general. I guess Jason and I kind of grew up on the record, it was played for us as kids. And it seemed like a good choice because it’s so far from what we do, it became easier for us to go somewhere with it than if we were working with something from our own genre, that would have been much more difficult to take it to new places, to flesh out alternate endings or versions of songs. It got really stressful and difficult at times, how strong musically that record is. I think it would have been embarrassing for us if we’d tried to cover it note-for-note. SC: How did you approach it? By learning the lyrics and melodies first? Or base it on an instrumental track? WM: Jason [Couse] had the brunt of it, he learned every song on guitar and piano. The rest of us came in and learned them. And from there we wanted to see if we could get close to the polarity between mood of the breezier pop sound of Aja and the darkness in the lyrics. The Darcys at May 14 2010 at Mondragon Cafe, Winnipeg. SC: What did you learn about the making of Aja and the meaning behind the songs? I looked up “Deacon Blues” and was surprised to find it has all these references to college football. WM: With “Josie” too, it seems like a fun song about a girl coming home but then you look into it and it poses a lot of questions about who she is and where she was. I was surprised. I think on the surface that record is a fun pop record to listen to but there are so many layers to it. SC: Is there anyway [Steely Dan members] Walter Becker and Donald Fagen would hear it in any other way than pure serendipity? 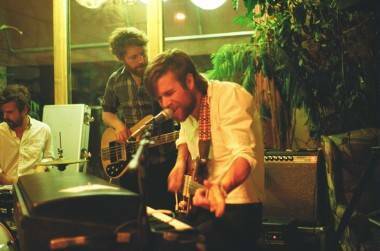 WM: We actually met someone at a show last night who offered to get us in contact with them if we wanted to get them a record, and there have been people offering. I think it’s going to get to them sooner or later, if it hasn’t already. SC: Is that a little bit scary? WM: In a way. I think if they listen to it they’ll know what we were going after. I’m happy with the way it turned out. 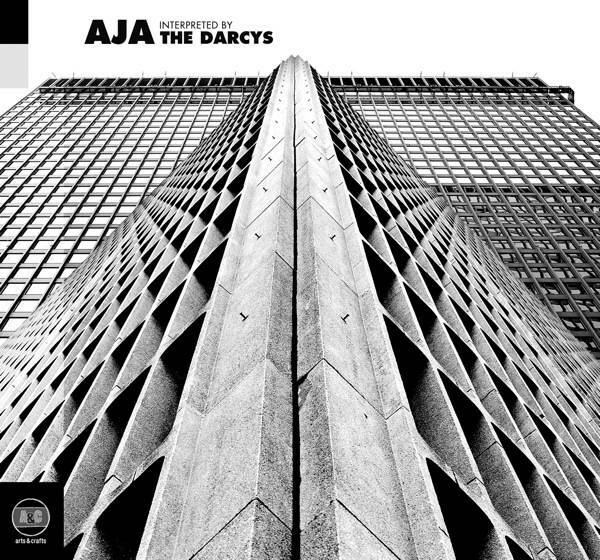 Visit The Darcys website for free downloads of both their self-titled 2011 album and Aja Interpreted by The Darcys. This entry was posted in interviews and tagged Bombay Bicycle Club, interviews, Steely Dan, The Darcys. Bookmark the permalink. Steely Dan has been a regular presence on my musical playlists from early teens to today–right up there with the Beatles (who?) in terms of consistent play. Yet I feel oddly sheepish about it these days. They seem to have become rather unhip. Nice to see a band rehabilitating them (if in fact they require rehabilitation). Love the Josie cover too. No one is hipper than the Dan. Been a fan of the Dan since 1973 and have seen them live three times in the past five years….the kids did the album justice…I like their take on the album….. If you’re looking for a doff of the cap to Mr Fagen & Becker – Then look no further than London outfit The 1957 Tail-Fin Fiasco.